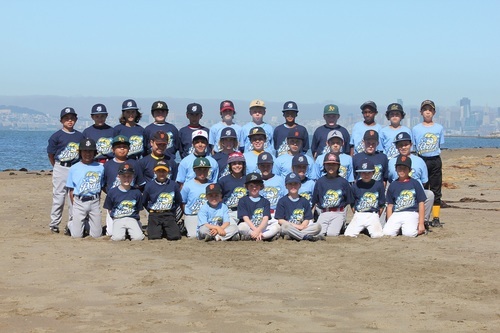 Why should I sign up for Diamond Skills Camp over the many others in the Bay Area? We offer a quality camp at an affordable price and sessions from 9-5 that no other camp has. As a parent, what is better than knowing your camper(s) is in a safe environment while you are at work for the entire day. Flip it from the parents’ perspective. Tell us one other camp/child care business where your child can receive instruction from professional players and college coaches for $8.00-$10.00 an hour and lasts from 9-5? Is there still space for available to sign up for camp? Yes, as long as the payment option is available to select, when you go through the registration process then there is still space available. Diamond Skills Camp will remove any session from the payment section if a session has sold out. How are campers divided into groups/teams? Campers are divided into groups based on age and Little League Division. They are then further separated based on ability. This keeps the camp both challenging and fun and ensures that campers will be learning and competing with those of the same approximate age and skill level. If a parent requests that their camper(s) change to another group, please address Scott, Dustin or Ricky before or after camp. Diamond Skills will do every effort to accommodate. Who are the instructors/coaches at Diamond Skills Camp? One of Diamond Skills Camp’s strengths is the quality of coaches. Unlike the majority of athletic camps, our directors/instructors/coaches actually COACH the campers. Every camp has current and former professional players, current NCAA baseball coaches, and high school coaches. Even our staff helpers are current Division 1 college players (many on the Neptune Beach Pearl) and high school players. What does my child bring to camp? Please refer to the parent packet located in the "Handouts" section under Camp Information tab. An extensive list of items needed to bring to camp is there. How is Diamond Skills Camp able to charge the affordable prices they do? Simply put, we do not want costs to prevent campers from attending. We started Diamond Skills Camp, to encourage enthusiasm for the great game of baseball and overall athletics and offer at prices that wouldn't break parents’ banks. Also, we give great discounts for multiple camp sessions’ sign-ups and for siblings. Can I receive a tax credit for my child attending camp? Yes, Diamond Skills Camp is a registered LLC. Parents who need tax credit for child care purposes please note the information (Diamond Skills Camp LLC. Tax ID # 45-316-7411). Contact your tax advisor for additional information. I need to pick up my child early from camp? No problem. When you arrive during camp to pick your camper(s) up, please find a coach first. They will assist you in finding your camper(s) and make sure you sign them out properly. What is Diamond Skills Camp weather policy? If a day of camp needs to be cancelled due to rain or unplayable field conditions, an e-mail will be sent out to all registered campers by 7:30 am cancelling the camp for that day. In this situation no refund will be given for the day, and registered campers will receive credit for that day that can be used towards a future camp.